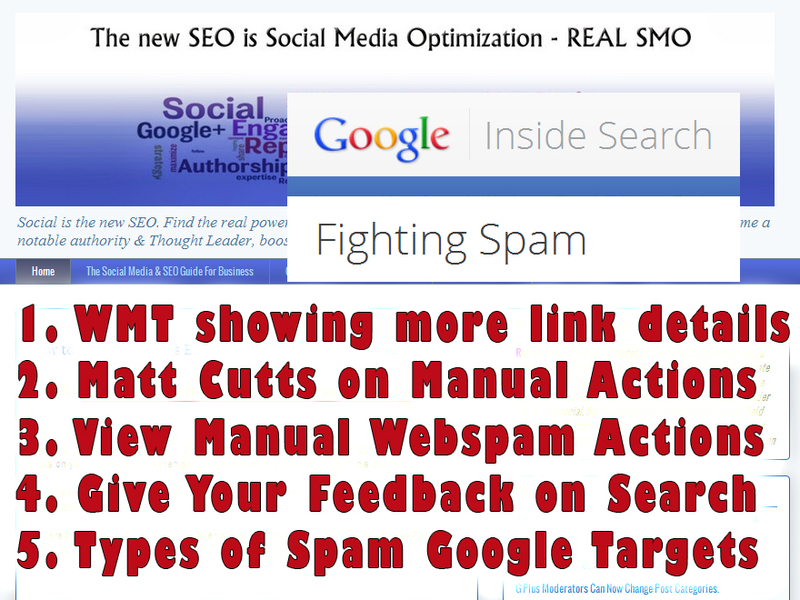 One of the most common questions we hear from webmasters is, "was there some manual action by the web spam team that means my site has been removed, or demoted for some reason, or am I just not ranking where I am because of an algorithm?" So we've rolled out something called the Manual Action viewer. Whenever you load that up it will basically tell you if the manual web spam team has found a violation of our guidelines, and whether there's something that's a direct demotion, or removal, and we'll tell you what type of infraction it is. So we'll say, this is cloaking, or hey we think this is keyword stuffing, and we'll even try to give you example URL's. Another new development in Google Search, is the Give Us Your Feedback on Search Policy Form. It looks like Google is really going all out in the PR department with webmasters, opening up with all these new developments. Spam sites attempt to game their way to the top of search results through techniques like repeating keywords over and over, buying links that pass PageRank or putting invisible text on the screen. This is bad for search because relevant websites get buried, and it’s bad for legitimate website owners because their sites become harder to find. 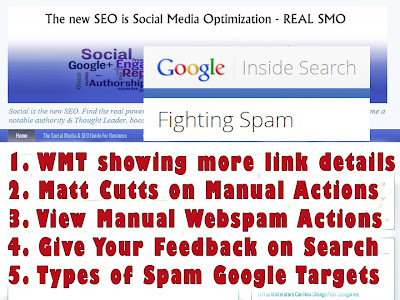 The good news is that Google's algorithms can detect the vast majority of spam and demote it automatically. For the rest, we have teams who manually review sites. 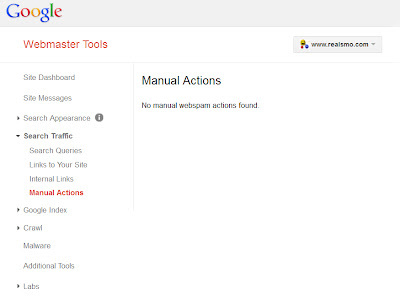 Site appears to use aggressive spam techniques such as automatically generated gibberish, cloaking, scraping content from other websites, and/or repeated or egregious violations of Google’s Webmaster Guidelines. Site is hosted by a free hosting service or dynamic DNS provider that has a significant fraction of spammy content. Site appears to consist of low-quality or shallow pages which do not provide users with much added value (such as thin affiliate pages, doorway pages, cookie-cutter sites, automatically generated content, or copied content). 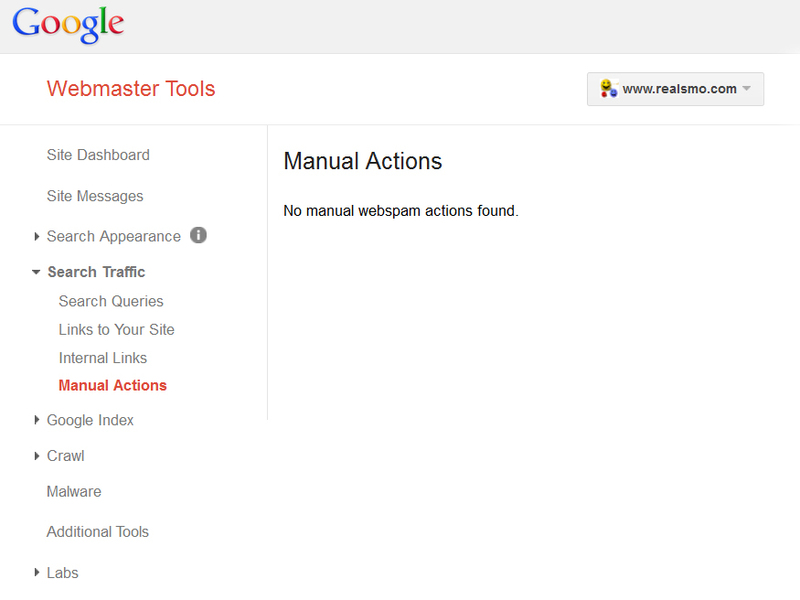 Google detected a pattern of unnatural, artificial, deceptive or manipulative outbound links on this site. This may be the result of selling links that pass PageRank or participating in link schemes. 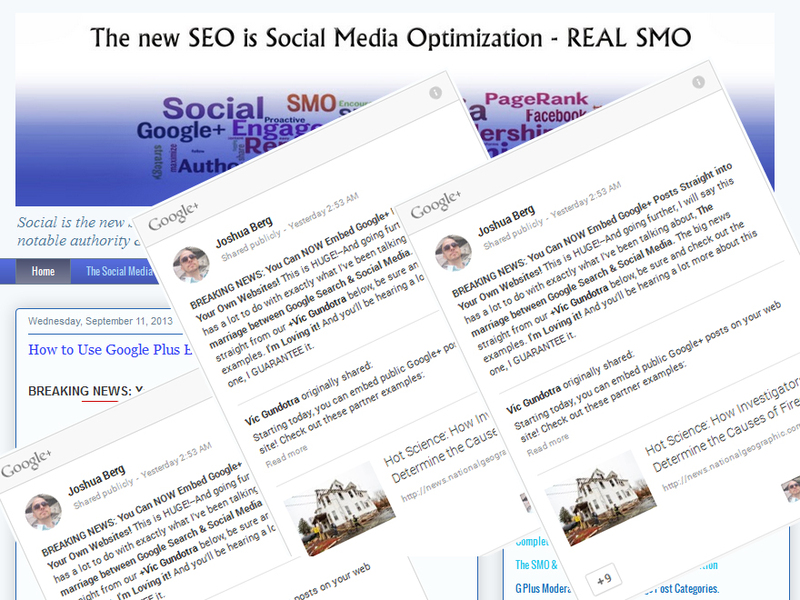 SEO reports is a one touch resource which provides you a free SEO report for your website. We offer free and instant online reports of webpage rankings in the top 5 search engines: Google (top 10), Bing (top 10) and Yahoo! (top 50).